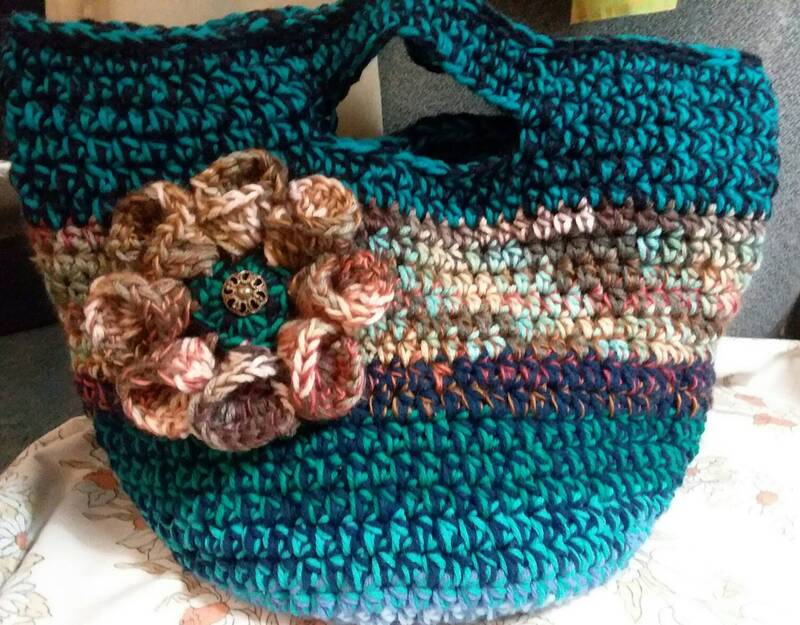 This lovely bag is hand-crocheted using multicolor teal and earth tones. About 16 in wide and 11 in tall. Perfect for handbag, tote, beach bag, carry on. Music for gym bag , or even a diaper bag ! Love the colors and enjoyed making this one!